Leveraging on our quality oriented professionals, we are offering Flower Export Box to our clients. We are presenting one of the best range of this export box. As its name conveys, this box is used for storing flowers so that these might be exported in easy and time saving manner in abroad market. This box has precise dimensions and is offered in both customized and standard dimensions. 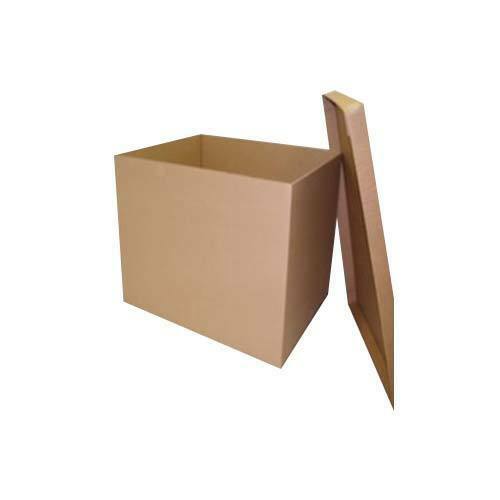 We are offering this box at competitive price. Latha Industries was established in the year 1989 and since then it has successfully ascertained a strong foothold in the leading manufacturer, supplier, trader, exporter, and wholesaler of Commercial Corrugated Box, Pharmaceutical Packaging Box, Automobile Packaging Box, Lubricant Corrugated Box, Paint Packaging Box, Agro Corrugated Box and many more. The products that are manufactured and provided can be modified as per client's requirements. These are manufactured using quality raw material and advanced machinery. Our robust infrastructure is divided into various sections to meet the requirements of production. These are equipped with state of the art machinery and modern computerized systems through which we are able to develop products with great precision.